This was a very complex occlusal dysfunction case that was exacerbated with methamphetamine use a few years ago. 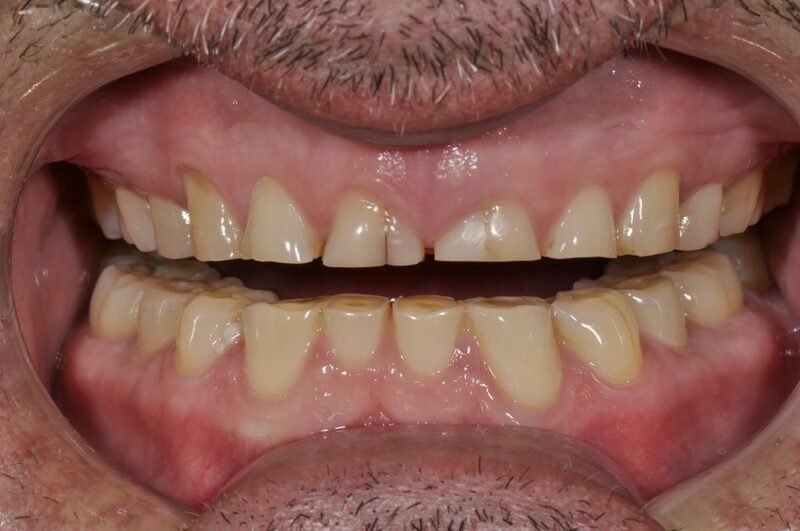 The deprogrammed position was not as straightforward or repeatable as most cases, so we settled on a compromised “middle” ground and strove to use transitional bonding in this case to test drive the occlusion and esthetics before transitioning to bonded porcelain restorations. We very nearly couldn’t do this case due to a very limited opening (~20mm) and limited patient stamina. The patient recently had laproscopic condylar lavage due to trauma suffered years ago from biting hard into a frozen sausage, perforating the base of the glenoid fossa. Tough case, not the prettiest of finishes, but this material allowed a relative clinical success in this individual which would have otherwise been virtually impossible. We nearly couldn’t finish as the patient was sick of trying to open. 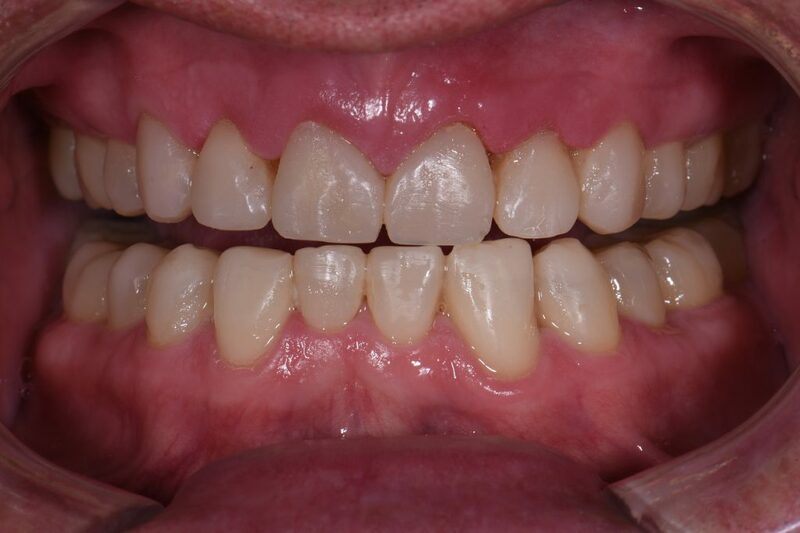 a) Digitally printed diagnostic wax-up with: i) alternating teeth waxed-up and ii) full diagnostic wax-up. b) Esthetic and Functional Crown lengthening from 12-22.
c) Injected single shade of A2 and A3 G-Aenial Universal Injectable. Flexural strength: 176MPa. Incredible. Bubbles? Yes there are some. I hate bubbles. I tell myself it’s only temporary so I can sleep.